That’s right! 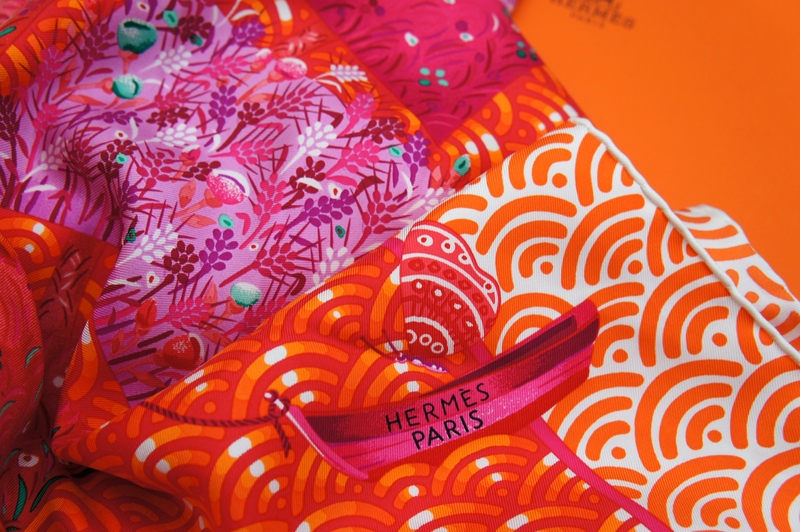 Yours truly has finally gotten her little paws on a stunning Hermès silk scarf and I’ll tell you right now, it’s love! 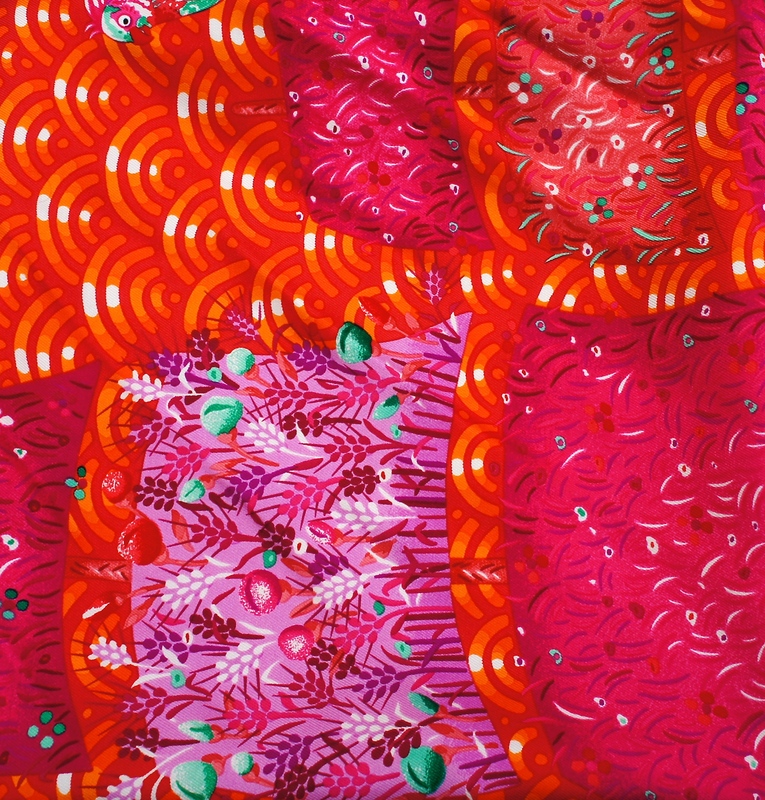 I chose an orange and pink beauty with a large sail boat as the central image surrounded by a mini ‘Hermès Paris’ sail boat, flowers, butterflies and fishies all flying/swimming around – it looks like a very happy place! 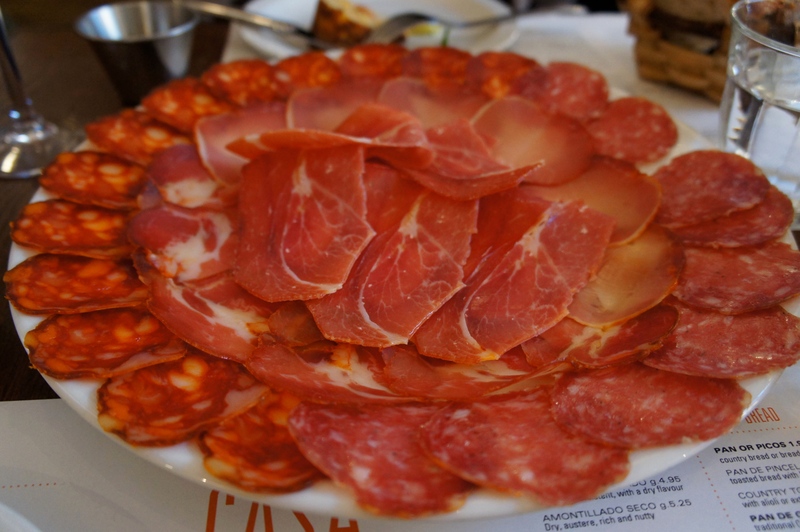 I thought Harriets first outing should be somewhere new and exciting, so when my friend Sophie messaged to say a dinner date was in order and that we should try Casa Brindisa in South Kensington – well, the stars had alligned hadn’t they?! 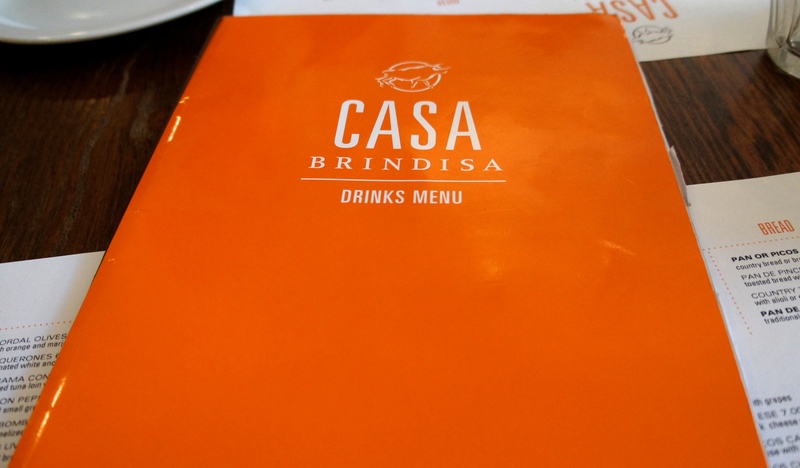 We met at the station and walked the few mins to the doors of Casa Brindisa, the place was filling up quickly and while we were one of the first to bag a table, shortly enough we were completely surrounded by a plethora of South Kensingtons “who’s who” for supper! 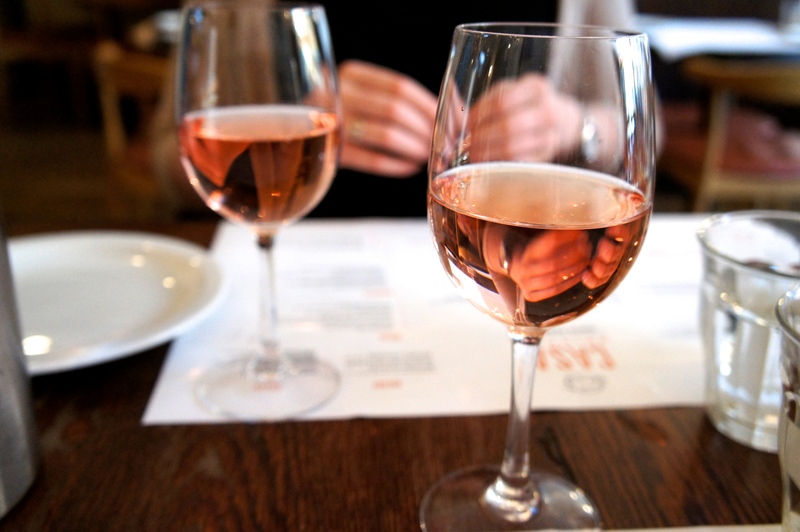 Upon realising that our Waiter was just a little bit awesome, we asked him what he would suggest if we were looking for a crisp, ice cold Rosé and when he said “our house wine will be perfect”, I won’t lie, we were dubious, but boy oh BOY did it deliver – a great start to the evening! Next up was the ‘Tortilla Chorizo’, chorizo, potatoe and pepper omelette. While heavy, this was truly delicious and perfect for sharing, it came with a spicy mayo on the side, which we quickly worked out, went well with everything! Mr. 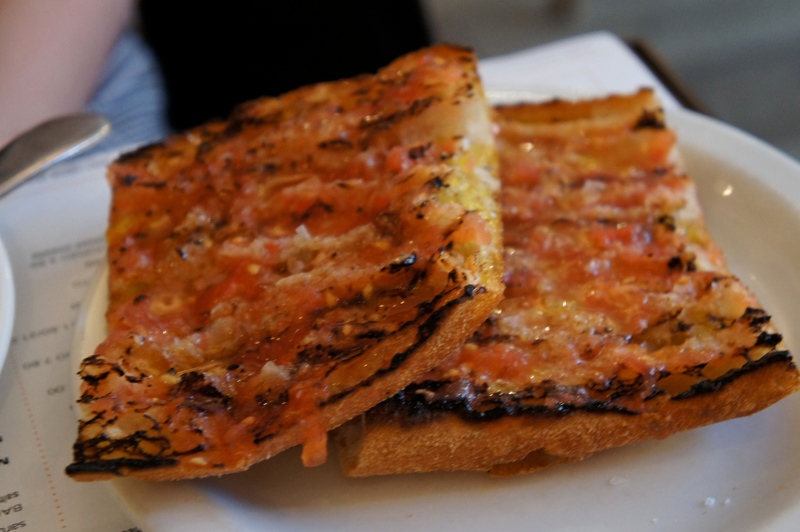 Awesome was back and insisted we try ‘Pan de Coca’ with tomato, a traditional Catalan flatbread and really, I don’t know why we even paused for thought because it was completely fabulous! Last, but by no means least, we enjoyed the ‘Deep Fried Monte Enebro’, handmade goats cheese with orange blossom honey and crispy beetroot crisps, if nothing else it looked fantastic on the plate, the honey was possibly laid on a bit thick for my tastes, but those beetroot crisps were a revelation – will definitely be oven baking some beetroot slices asap, watch this space! It was all wonderful, a positive merengue on the palate! Sadly, after all those yummy dishes, I just couldn’t manage anything more, which was pretty devastating as I had been eyeing up the ‘Galacian Tarta de Santiago’, traditional almond cake with vanilla ice cream. 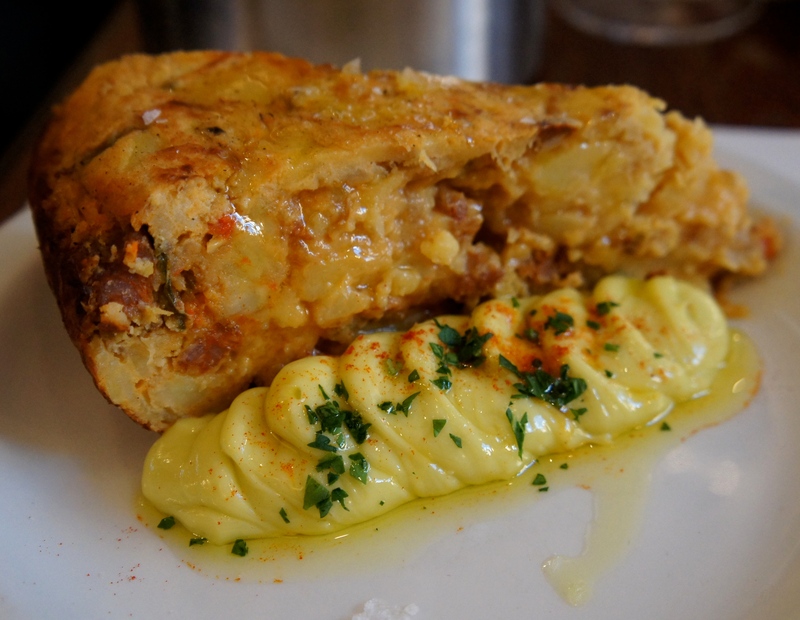 It’s ok though, just means I’ll have to make another visit to Casa Brindisa to make up for it! I totally understand your excitement about Harriet – I felt the same way when I was finally able to afford my Burberry trench coat. Walking around the streets of Philadelphia carrying the big bag made me feel like a queen – the feeling is the still the same every time I wear my coat. 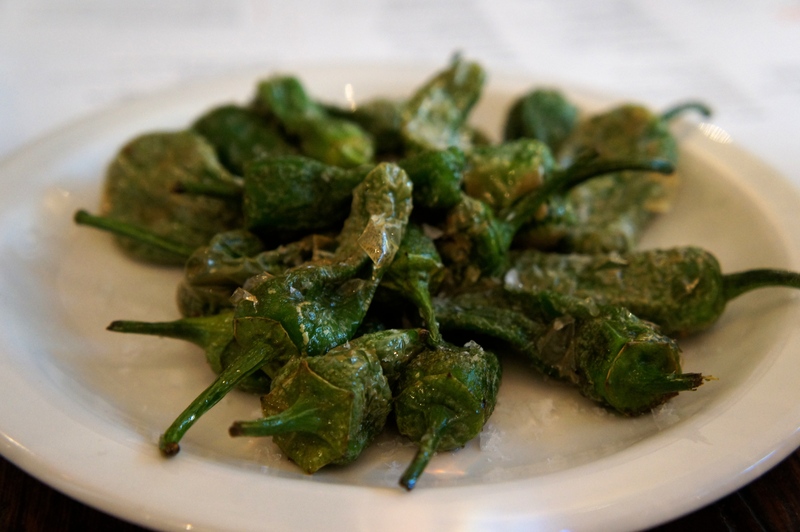 Padron peppers are so incredible! 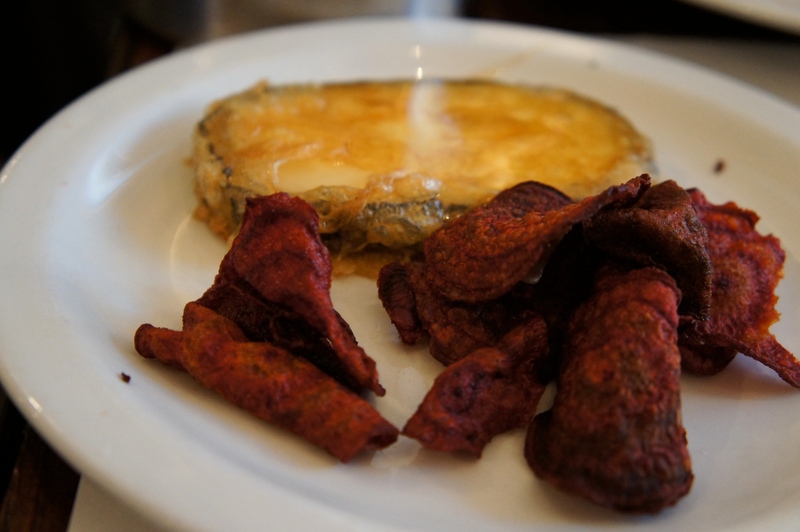 They’re one of my favorite things at our local tapas bar, second to the red wine sorbet and coca-cola dessert. It may sound gross, but it’s actually quite delicious! I can’t to see Harriet featured in more of your posts!